The Sitecozy broken link checker scans your websites and stores the list of internal URLs it finds. At the end of the scanning process, you get the list of all web page URLs that have been scanned on your list at the bottom of the software page. You have to scroll down you get the list of URLs. This is a list of unique URLs that a robot like Googlebot can actually crawl and maybe index. 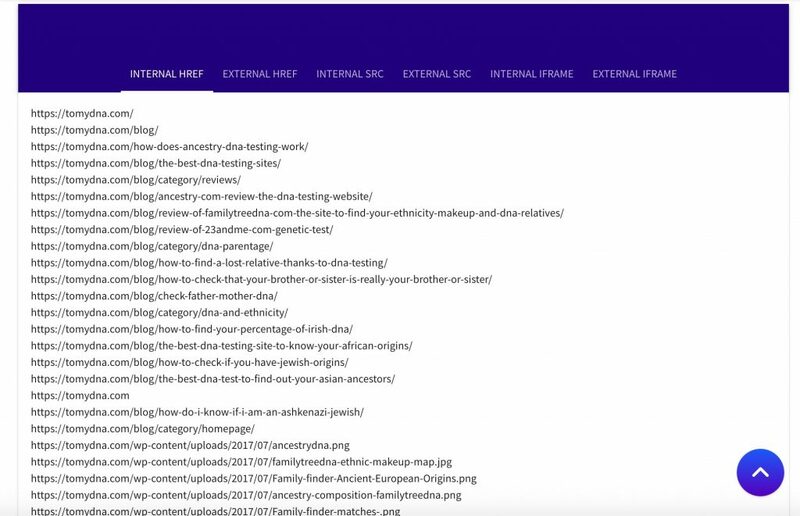 scroll down and click on the tab “INTERNAL HREF”, it will contains all the unique internal URLs that were found during the scanning process. Once you get the list, you can export the URLs of your website. Keep in mind that we talk here about the full URLs. The Sitecozy broken link check recreates the full URL, if it finds the relative URL. you can select the whole list of URLs and paste it in MS excel this will populate a URL in every row of the spreadsheet. You can also copy this list of URL in a text editor. You will get one URL per line.